I’ve been gone a while, a lot has happened since. First of all: my Gamecom headset broke. It still works but the band that permits it to sit snugly on my head split during travel recently. Frankly going back to a regular stereo one (borrowed) made me realize how much I had taken it for granted. The difference in the clarity of sound and the ability to differentiate instruments is phenomenal. I really miss them, but I have no place in my current budget plan to get new ones for the next 2-3 months. The second interesting event…..I FINALLY went to the UK. It was an amazing experience! I like the architecture, the people. I had quite some fun and though I went for work, even that part was great! As any other traveler will testify, the biggest problem is how high their currency is. For a tourist, going to the UK is going nuclear on your wallet. From plane ticket to food, everything cost so much more just because the pound is much much stronger than the euro and the dollar. 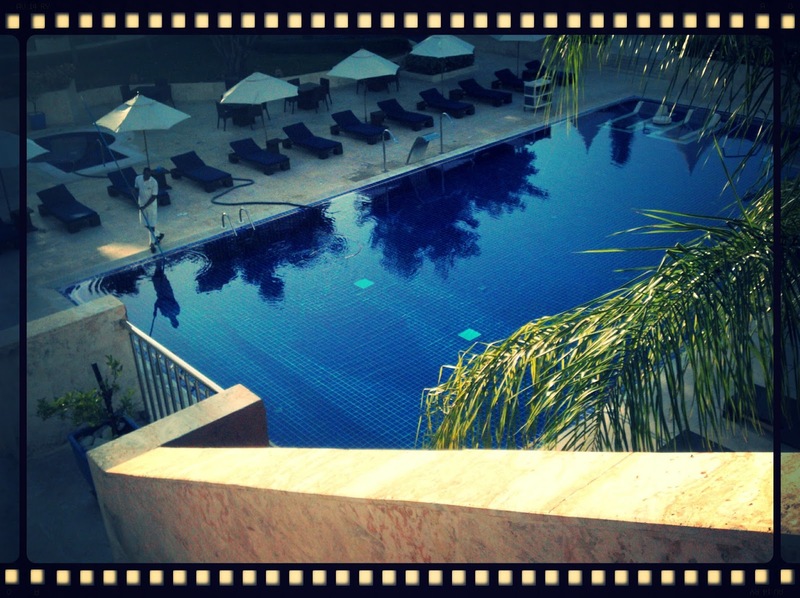 I leave you with a nice pic of the pool of the Hotel Barcelo Santo Domingo where I stayed during UK visa application submission in Santo Domingo. Cheers mates!